This page shows you the basics about DockPanel Suite themes (2.11+). A theme is a collection of multiple elements which control the rendering effect of DockPanel Suite. 2.11 release introduces the new palette based skins, which makes creating new themes much easier. 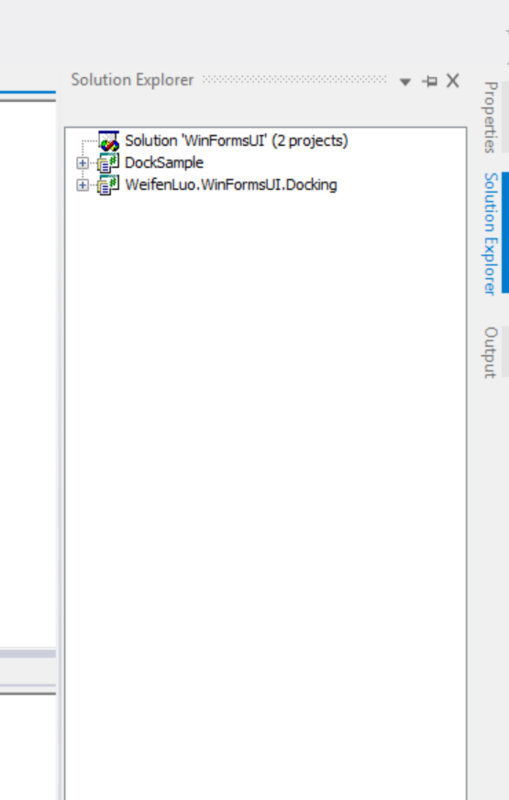 By exporting .vstheme files from Visual Studio Color Theme Manager, and injecting them into the constructor of DockPanelColorPalette, the theme can extract the necessary colors from them. 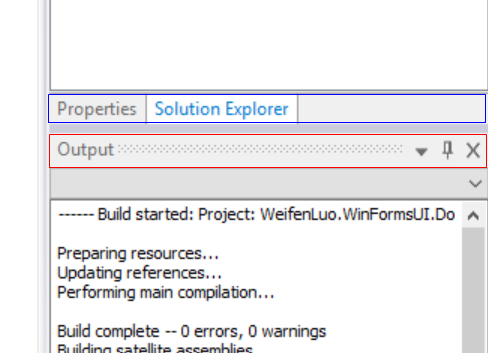 Visual Studio 2010 Color Theme Manager exported .vstheme files are not supported yet as it uses a different schema. DockPanelSkin was a simple container of different kinds of colors. It was mainly developed for Visual Studio 2005 theme. Measures stores several numbers that control size/length of a few controls. SplitterSize and AutoHideSplitterSize is here to control the sizes of splitters. CleanUp method should be implemented if a customized IPaintingService implementation is used to clean up GDI+ resources. You can refer to each of the factory classes to see how a specific part of the theme is customized. Below we will simply check what exactly the above names are there in a theme by highlighting them in screen shots. 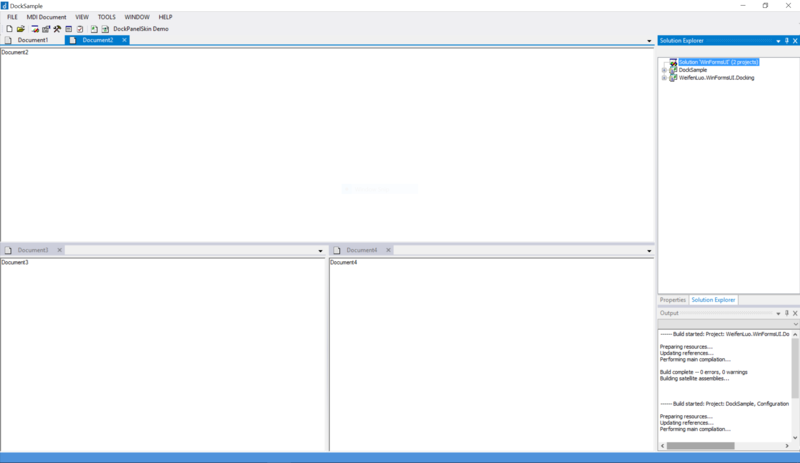 Here is a full screen shot of an application that uses DockPanel Suite. You can see five panes are there and between panes, splitters are rendered. 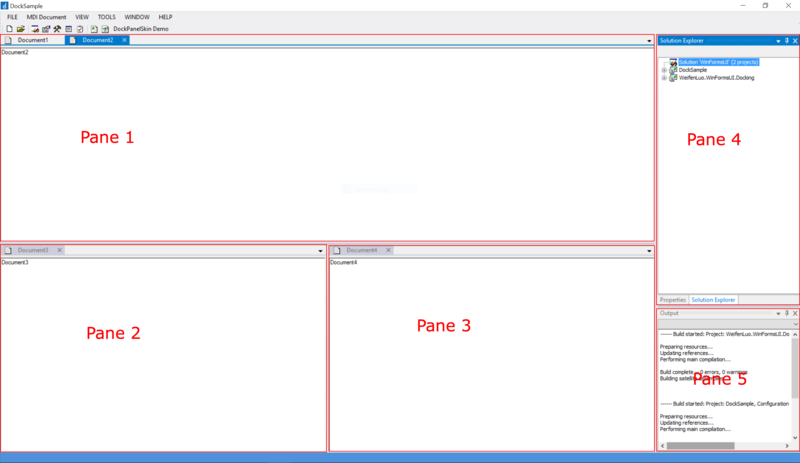 A simple pane (such as pane 2 and 5) only contains a single dock content, but a complex pane (such as pane 1 and 4) can contains multiple dock contents. For tool window panes, their strips (shown in blue rectangle below ) contain the tabs of the tool windows and are rendered at bottom, where clicking on a tab can switch to a tool. 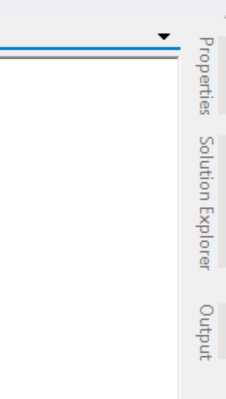 Visual Studio 2012 themes use separators between adjacent tool window tabs, while Visual Studio 2013 and above uses more complicated borders. Tool window pane strip is suppressed if the pane only contains a single tool window. 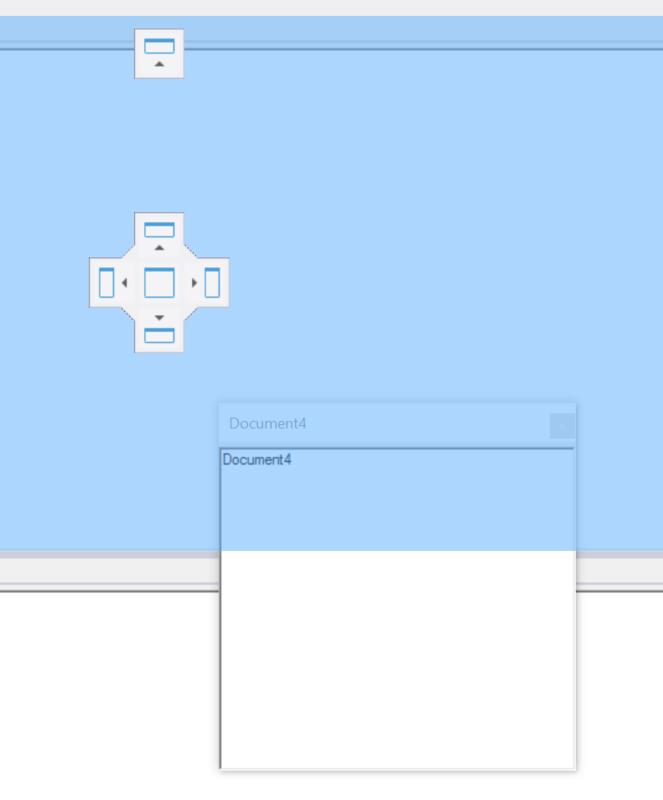 Tool window panes also have their captions (shown in red rectangle above) rendering at top, where the tool window can be closed or hidden. When a dock content is dragged and move over the dock panel area, indicator icons are displayed to show which target locations this content can be dropped at, and the outline (the blue rectangle in the figure) of the content will also be rendered to show how the content would look like once dropped. It is very important to understand such elements and then you can see how the Extender mechanism works. Internally the method ThemeBase.ApplyTo can be used to associate themes with context menu strips and other menu strips. 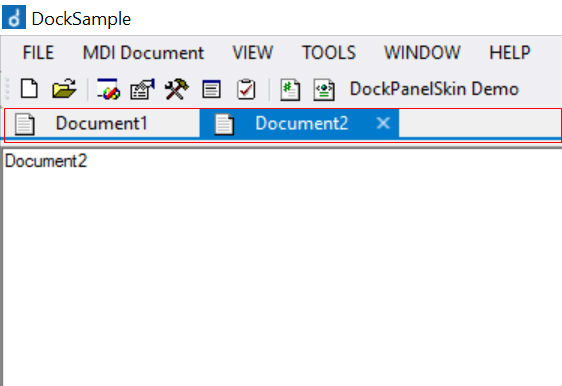 If you are developing an application, this method allows the theme renderer be used for other menu strips outside of DockPanel Suite scope.